You are here: Home » What is a Metaphysic? Evolution may be considered as a fairly straightforward metaphysical theory with a long history which was not so much confirmed by the theory of natural selection as embarrassed by it. The difference between the two is indicated by the fact that Darwin himself did not use the word until the fifth edition of the Origin (1869)…It is a metaphysical term, because it purports to make certain descriptive propositions about the structure of the universe. Metaphysics: the branch of philosophy that treats of first principles, includes ontology and cosmology, and is intimately connected with epistemology. Ontology: the branch of metaphysics that studies the nature of existence or being as such. Cosmology: the branch of philosophy dealing with the origin and general structure of the universe, with its parts, elements, and laws, and especially with such of its characteristics as space, time, causality, and freedom. Cause & Effect: noting a relationship between actions or events such that one or more are the result of the other or others. [I]t has been said a million times and will be said a million times more that for Darwin competition between species and members of species is the only mechanism of directive and progressive evolution. Thus he has been adulated for having revealed that in capitalism and its related and derived values was to be found the natural system of social and economic organization which assures the progress of man. [T]here is by the very use of the terms an introduction of values into a descriptive construct, or the misinterpretation of descriptive terms by ascribing to the words a moral significance and to the author a moral intention. The roots of this error are to be found in the ancient exhortation that nature should be our basic model for right behavior. 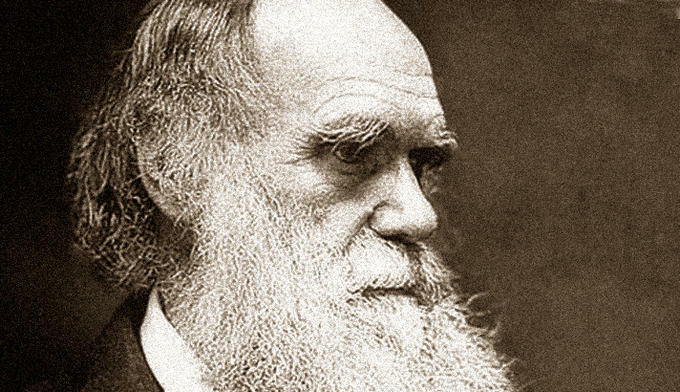 Not surprisingly it is constantly assumed that the Origin rests on moral assumptions…The difficulty arose because Darwin did not have the word “ecology.” He was in fact an ecological thinker, and in ecology words like “competition” and “cooperation” are too inexact, too value-weighted, too metaphorical, and too anthropomorphic to be used at all. Champollion deciphered the wrinkled granite hieroglyphics. But there is no Champollion to decipher the Egypt of every man’s and every being’s face. Physiognomy, like every other human science, is but a passing fable. If then, Sir William Jones, who read in thirty languages, could not read the simplest peasant’s face, in its profounder and more subtle meanings, how may unlettered Ishmael hope to read the awful Chaldee of the Sperm Whale’s brow? I but put that brow before you. Read if it you can. Instead of taking the notion of causation for granted, Hume challenges us to consider what experience allows us to know about cause and effect. Hume shows that experience does not tell us much. Of two events, A and B, we say that A causes B when the two always occur together, that is, are constantly conjoined. Whenever we find A, we also find B, and we have a certainty that this conjunction will continue to happen. Once we realize that “A must bring about B” is tantamount merely to “Due to their constant conjunction, we are psychologically certain that B will follow A”, then we are left with a very weak notion of necessity. This tenuous grasp on causal efficacy helps give rise to the Problem of Induction–that we are not reasonably justified in making any inductive inference about the world. [T]he claim that natural selection works in an orthogenetic or teleological fashion is an application to Darwinism of the already existent and widespread notion that the laws of nature direct the course of events to move toward a higher, purer, better state of affairs. The two essential ideas of metaphysical evolutionism are that the world is an emergent world, with novelty continually being introduced from outside or coming into existence by the nature of the evolutionary process, and that it is an irreversible and a nonrepetitive world; evolution has direction. Darwin is said to have discovered the law of evolution, according to which the universe is characterized by a steady growth in richness and complexity and excellence. Now Herbert Spencer formulated a law of evolution, but there is no such law in the Origin. In fact, in the fourth edition there is a brief but profoundly important passage at the beginning of Chapter Four in which Darwin specifically disclaims any knowledge of and any statements about laws of nature, which he clearly labels mental conveniences, or constructs. 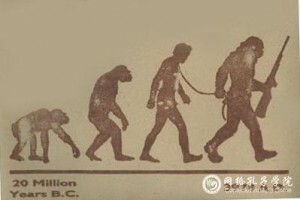 He is a scientist, not a moralist and not a metaphysician…Spencer uttered a law of evolution; Darwin proposed a theory of the origin of species from pre-existent species. Nor is there any reason to believe that natural selection operates in a morally or metaphysically progressive fashion. Indeed, from the Origin it is very easy to conclude that the more complex an organism the less its chances to survive. It is impossible to find in the Origin a basis in the biological world for any kind of…goal-directed process. Thus the grand thesis of metaphysical evolutionism–from simple to complex means from good to better, infinitely or finitely, as your metaphysical taste determines–not only received no support from the Origin but…was positively demolished. For the biologic world that Darwin revealed, if you do not read him with the assumptions of metaphysical evolutionism as instruments for understanding the book, is a world totally lacking in the organized and teleological process characteristic of evolutionary metaphysics. New species come into existence by a process which can only be described as accidental. It is essential to his argument that species should not be regarded as fixed…To him a scientific law was a mental convenience. The mind organized the data into meaningful structures; it did not discover the principles of organization immanent within the data. When a human being encounters a stimulus which cannot be fitted into an existent orientation, the fundamental tendency is either to negate the value and importance of the stimulus or to inhibit its effect, either by denying its existence or by misinterpreting it. In Nietzsche’s concept of the will to power (by which he did not mean political tyranny) we have a highly Darwinian notion of the desire to control our environment…The will to power is a way of stating the endless and never-to-be-consummated drive to adapt ourselves to our environment. …Freud…presents neurosis not only as the repetition of a pattern but something from which everyone suffers and which can never by entirely overcome. Hence analysis is endless. We can never make the perfect adaptation. The only complete adaptation is to adapt our neuroses to those of others in our social environment, to conform; but that is a counsel of despair. Yet in Freud we find another example of …turning a Darwinian perception into a metaphysic. Implicit and explicit in Freud is an idea…that in the psychological world there are no accidents, that all is determined, that cause and effect rule everywhere, and that everything in the individual’s psychological past can be understood and accounted for.